On May 3rd New Labour lost its control of both the Scottish Parliament and Welsh Assembly. Scotland now has a minority SNP/Green Scottish Government, whilst Wales now has a Labour/Plaid Cymru Welsh Assembly Government. This was followed by the replacement of a Ulster Unionist/SDLP-led Northern Ireland Executive by one run by the DUP and Sinn Fein-led Executive on May 7th. What does this all mean for the future of the UK and for socialists throughout these islands? The current constitutional settlement to maintain the unity of the United Kingdom was implemented by the incoming New Labour government, in 1998, following upon successful referenda results in Scotland, Wales and Northern Ireland. This New Unionist deal involved Devolution-all-round for these countries, and replaced the Tories’ preferred UK constitutional order, represented by Westminster Direct Rule and administrative devolution through the Northern Irish, Scottish and Welsh Offices. New Labour’s political devolution measures are now so well embedded, they have become the new UK constitutional status quo. The Tories no longer seek to overthrow these – only the marginal, intransigent unionists of UKIP. Constitutional settlements do not exist in a political or economic vacuum. The whole purpose of the New Unionism, initially developed by the Tories in the Anglo-Irish and the Downing Street Agreements, and brought to its rounded form by New Labour with Devolution-all-round, is to create the political environment in which the global corporations can maximise their profits. UK and Irish governments have cut business taxation, promoted privatisations and deregulation and undermined civil rights and effective trade union organisation. Before we arrived at the latest constitutional settlement, the Tories had faced rising national democratic opposition, most obviously from the Republican Movement in the ‘Six Counties’, but also in Scotland and, to a lesser extent, in Wales. The election of Bobby Sands MP, during the Hunger Strike, in 1981, was the beginning of the end of attempts to break national challenges by head-on conflict. Thatcher did manage to break much of the power of the organised trade union movement, when she defeated the Miners’ Strike in 1985. However, her continued attempts to break the whole working class, through direct confrontation, came unstuck with her attempt to impose the poll tax. Her efforts only contributed to further destabilisation of the UK, but this time in Scotland. The British ruling class decided that subtler methods of control were needed. Thatcher, and then the Tories, were ditched in favour of New Labour. They also had a new way of dealing with working class unease. Get the trade union leaderships to act as a personnel management service for the employers through ‘social partnerships’. New Labour borrowed this model from Fianna Fail in Ireland. The 1998 Good Friday Agreement has brought these two partners closer together. The STUC, Wales TUC and the Northern Irish Committee of the Irish Congress of Trade Unions have all given their public support to the New Unionist constitutional arrangements. i) supine New Labour-led administrations in the Scottish Parliament and Welsh Assembly, willing to take orders from New Labour in Westminster. ii) the ‘cooperation’ of the Ulster Unionists and the SDLP in the Northern Ireland Assembly. iii) the support of the Irish government. iv) the support of trade union leaders locked into ‘social partnerships’ both in the UK and 26 County Ireland. v) the backing of successive US administrations and the EU. The elections to the Scottish Parliament, and to the Welsh and Northern Irish Assemblies, have undermined the first two of these mechanisms. At first glance this sounds like a sure recipe for conflict between Westminster and these three devolved bodies. However, there are wider factors at work, which could lead to a further refinement of the New Unionist project. The most radical form this could take would be ‘Federalism-all-round’, where the Westminster Parliament is maintained for imperial, defence and certain domestic purposes, whilst parliaments, with more powers, are put in place in Scotland, Wales, Northern Ireland and England. A less radical form would be the further devolution of powers from Westminster, to the existing Scottish Parliament and Welsh and Northern Ireland Assemblies, on an ad hoc basis, thus continuing the asymmetrical devolution model currently in place. There would, of course, be opposition to these measures. There are significant Labour figures, such as George Foulkes, who would join with the Tories, to mount an intransigent unionist defence of the new UK devolutionary status quo. However, this approach did not go down too well for Labour, when they recently launched their way-over-the-top attack on the SNP, equating their taking office with ‘the end of civilisation as we know it’! Partly as a result of such attacks, New Labour lost control of Holyrood, when the electorate turned its back on such negative campaigning. However, it is necessary to look to the global context to see that the wider balance of forces is shifting towards acceptance of the need for further constitutional change in the UK. The years of Bush/Blair gung-ho imperialism are coming to an end in the sands of Iraq. The Enron and Halliburton scandals, and the collapse of the housing market in the USA, are leading to increased questioning of neo-liberalism and a finance capital-dominated economy. The rip-offs, at the expense of the state, taxpayers and employees, represented by equity capital and PPP deals in the UK, are also being increasingly questioned. If US imperialism and corporate capital, in cooperation with the UK’s political leaders, are to maintain their position then gung-ho imperialist, neo-liberal turbo-capitalism may have to be sidelined for a more consumer-friendly, cuddly capitalist alternative. George Soros, global speculator and Joseph Stiglitz, former Chief Economist to the World Bank, have both said so. Retired generals and former CIA spokesmen have added their voices too. Political adjustments will be necessary in the UK. When Gordon Brown became new Labour leader and PM, he was quick to outline new constitutional proposals for the UK. New Scottish Labour leader, Wendy Alexander, is tentatively looking to the possibility of increased powers for the Scottish Parliament too. This issue of Emancipation & Liberation has a special supplement which shows that the election of an SNP-led Scottish Government is unlikely to lead to a successful referendum on independence. Salmond’s ‘National Conversation’ is really designed to build a wider coalition for further reform of the Union – ‘Devolution-max’. The appeal is to Labour nationalists like Henry McLeish. We have also included a very interesting report from Bob Davies, of the CPGB, on the situation in Wales. Bob comes from a Left unionist tradition. From this perspective, he is well able to see the continued retreats being made, not only by the very mild constitutional nationalist, Plaid Cymru, but also by Left nationalists in Wales. 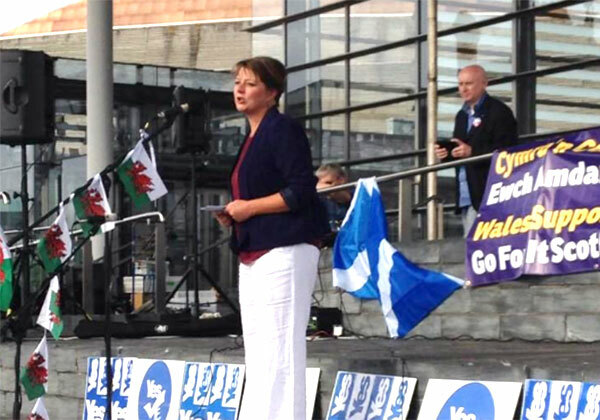 Forward Wales took its inspiration from the SSP. It has now dissolved, with ex-Labour MPs, John Marek and Ron Davies, becoming Independents, but still (unsuccessfully) pursuing Old Labour-style politics. Marek has lost the Welsh Assembly seat he had won in the 2003 election. Others, including members of the former Welsh Republican Socialist Movement, have now joined Plaid Cymru, and its Left nationalist, Triban Coch grouping. Bob chronicles the Left nationalists’ continued retreats. There is dire warning for the SSP in all of this. One of our former affiliated platforms, the Scottish Republican Socialist Movement, has also raised the prospect of socialists joining the SNP. Others, particularly from the ex-ISM platform, continue to pursue a Left nationalist strategy, which, when it comes to constitutional issues, makes the SSP, in effect, a pressure group on the SNP. Our special supplement offers a critique of this approach from the RCN’s socialist republican, internationalism from below viewpoint. We have also included a most unlikely piece – an editorial from the Belfast Newsletter , the DUP supporting newspaper for Northern Ireland. Many, including some in the SSP, have argued that Sinn Fein has ‘got one over’ on the Unionists, by ‘forcing’ the DUP into a new coalition with them, on May 8th. Now, if Ian Paisley had made any significant concessions to nationalists, which undermined the position of Unionists, he would soon have been called a ‘Lundy’. He would face the same future as David Trimble, a one-time unionist intransigent, originally in the semi-fascist, Vanguard Party, but later leader of the Ulster Unionists, until his party’s electoral demise. Paisley signed-up to the St. Andrews Agreement, in October 2006, when it removed the concessions to nationalists/Catholics, which hard-line Unionists found most unacceptable in the Good Friday Agreement. There was indeed some internal intransigent DUP opposition. Paisley also faced a challenge from Robert McCartney, former intransigent, UK Unionist MP for North Down. McCartney stood for six seats, in the new Stormont elections, on March 7th, challenging Paisley’s St. Andrews Agreement. He was soundly beaten in all of them. The Belfast Newsletter editorial shows us why. It also helps to explain, just why it is that Northern Ireland currently represents the least of the challenges to the existing constitutional set-up in the UK. Not having local New Labour stooges in place, the UK government has had to follow a different strategy to win the cooperation of the Northern Ireland Assembly. This involves the Westminster government manoeuvring itself into a position of being the ‘neutral’ arbiter between the main local parties either the UUP and SDLP in the past, or the DUP and Sinn Fein now. These parties squabble amongst themselves, over the distribution of the Westminster block grant to the Assembly, and over other concessions, either to nationalists and unionists, whilst making appeals to the UK government for its support. The government must be quite satisfied at the success of its strategy. The UK government is therefore, for the time being, in a better situation in ‘the Six Counties’ than it has been for a long time. Not only did the intransigent Unionists receive a trouncing in the Northern Ireland elections, so also did the intransigent Republican Sinn Fein. Meanwhile the former ‘intransigents’ Ian Paisley and Martin McGuiness get down to the business of running the province in the interests of big business. Water privatisation looms, reform of secondary education has been dropped, whilst the only ‘challenge’ to Westminster being actively pursued, is the demand to cut corporate taxation in the province! It is even possible that, as with the possibility of the devolution of more its powers, Westminster may agree to differential business tax regimes for Scotland and Northern Ireland (and perhaps elsewhere). This would represent a neo-liberal replacement for earlier differential regional grants and subsidies, originally inspired by social democratic economic thinking. The 24th May election to the Irish Dail also strengthens the hand of the UK government. John McAnulty’s article shows why it was that apparently discredited Bertie Ahern has been able to remain in office. Fianna Fail has now formed an administration with the Greens as new Coalition partners. Here too, two ‘oppositions’ were seen off. One of these was the widely hated Michael McDowell, Progressive Democrat (PD), Minister for Justice in the last Fianna Fail/PD Coalition government. He is as anti-Republican as Paisley (only he would not have joined any coalition government involving Sinn Fein! ), and he is also against any concessions to trade union leaders. Although suffering a personal defeat, McDowell could take some consolation from the fact that the new Fianna Fail government is not in the position of depending on Sinn Fein TD support as some predicted (and Sinn Fein leaders hoped). The PDs were originally a split from Fianna Fail. They were the original Irish flag-bearers for neo-liberalism and accepted Ireland’s allotted place in the New World Order. Their reason to exist has largely disappeared. All the mainstream Irish parties largely accept their neo-liberal economic policies. Irish neutrality has been effectively ditched. Even McDowell must be surprised at just how far Irish trade union leaders are prepared to stoop in ‘the race to the bottom’. This is why most Irish bosses still give their support to ‘social partnership’. However, if Fianna Fail has largely eliminated any threat from the neo-liberal Right, by occupying much of the Right’s own ground, the opposition to its left, has suffered a much bigger setback. Sinn Fein spent the pre-election period ditching radical policies, which might have caused it trouble in trying to gain a place in a post-election coalition. Gerry Adams hoped that by adopting the role of the national statesman, who delivered peace in Northern Ireland, Sinn Fein could substantially increase its vote in ‘the 26 counties’. However, Gerry was upstaged by Bertie. Bertie shook hands with ‘Big Ian’ in Dublin on May 4th, and was then invited by Blair to speak to a joint meeting of the Houses of Commons and Lords on May 15th. 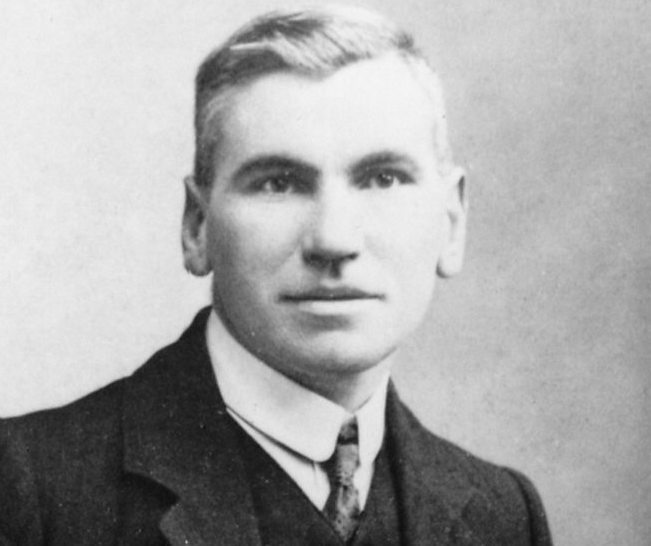 Sinn Fein was unable to ride two horses at the same time – appearing both as a statesman-like voice in the international establishment and the radical voice of local community concerns. It lost a seat and its vote fell badly in Dublin. The Socialist Party also lost its TD, Joe Higgins, and other independent Left TDs were defeated. New Labour’s New Unionist strategy is designed to reassert the UK’s political and economic influence over ‘the 26 Counties’, as well as reforming the Union, which had received such a battering, when the Tories pursued their old-style intransigent Unionism. The May 24th Irish election result will reinforce the position of the British government. While Sinn Fein licks its wounds in the South, there are less likely to be nasty surprises in the North, when Brown begins negotiations to update the current Devolution-all-round settlement. As long as the Left remains in a weak position, throughout these islands, the way is clear for future New Labour-nationalist reconciliation. The likely political basis for this is further reform of the Union and cleaning up the ‘excesses’ of gung-ho imperialism and neo-liberalism. However, in order that the Left can make a recovery, we must have a clear analysis of what is actually happening; not have any illusions that the SNP can deliver independence, nor Sinn Fein, a united Ireland. As a start, this means rejecting the Left nationalism currently being pursued by the SSP leadership and turning to the principles of socialist republicanism and ‘internationalism from below’ pioneered by John Maclean and James Connolly. It is also a good reason why the SSP Conference should agree to sponsor a Conference for socialist republicans throughout these islands. The UK and Irish governments work hand-in-glove to maintain the current political order. Alex Salmond seeks cooperation with the anti-nationalist, London Labour mayor, Ken Livingstone, and with Stormont’s new First Minister, Ian ‘No Surrender’ Paisley. We need to organise internationally too, which is why the Republican Communist Network has presented its motion to Conference.